I grew up in New Mexico, but moved away after high school graduation. And one of the things I miss is green chiles on everything. Notice the spelling of that word: CHILE. When talking about the most famous product of the state of New Mexico, there is no second I. The word chili refers to the stuff that’s made with beans, meat, tomato sauce and, yes, chili powder. 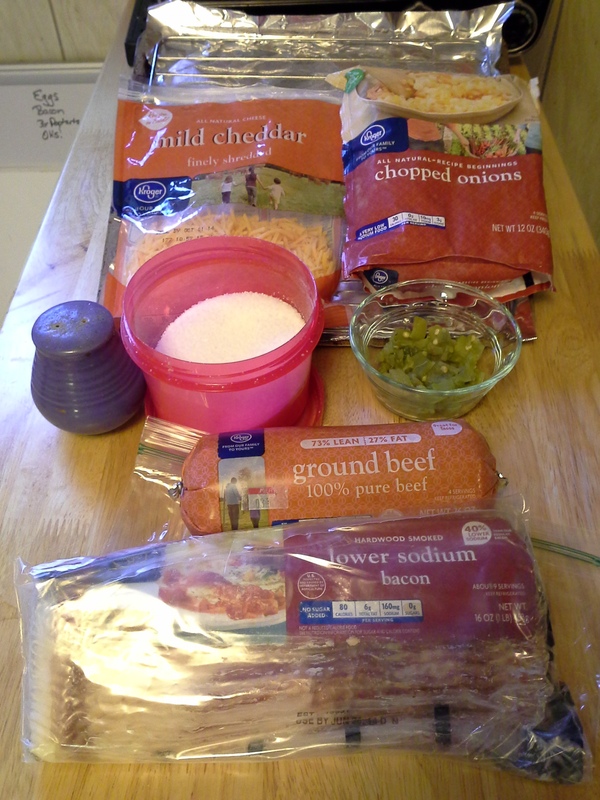 Preheat oven to 400–450°F (hotter for crisper bacon). 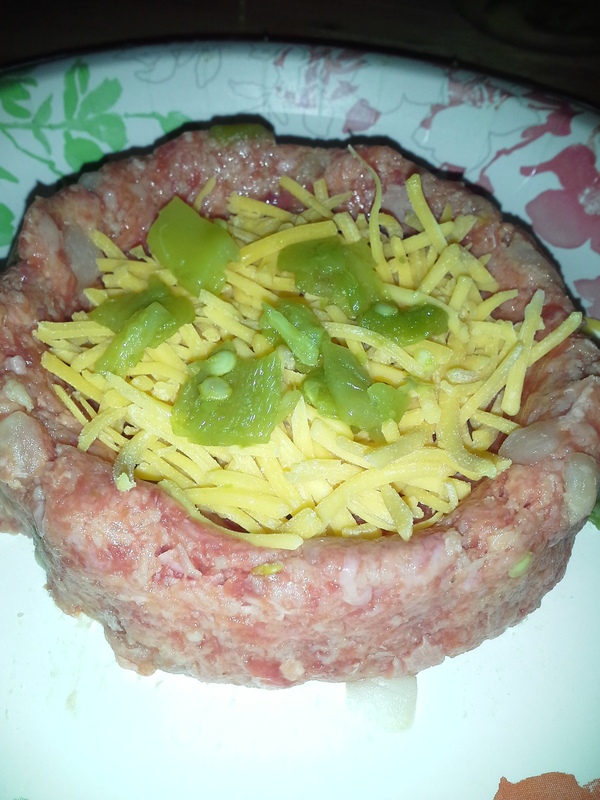 In the bowl, combine meat, onion, green chile, salt, and pepper. 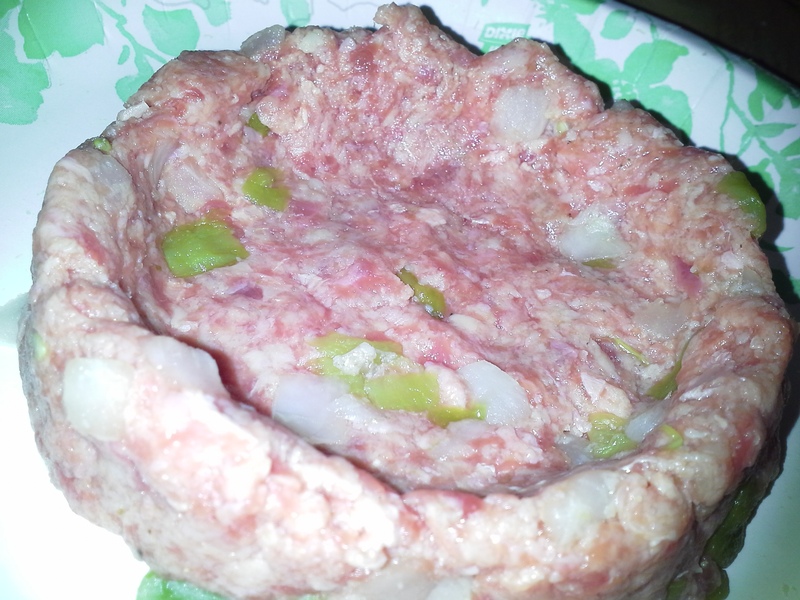 I used frozen chopped onions, which helped keep the meat cold while I was handling it. Make sure the edges are the same thickness and height all the way around for even cooking. Place cheese in the well (and more green chiles if you like). 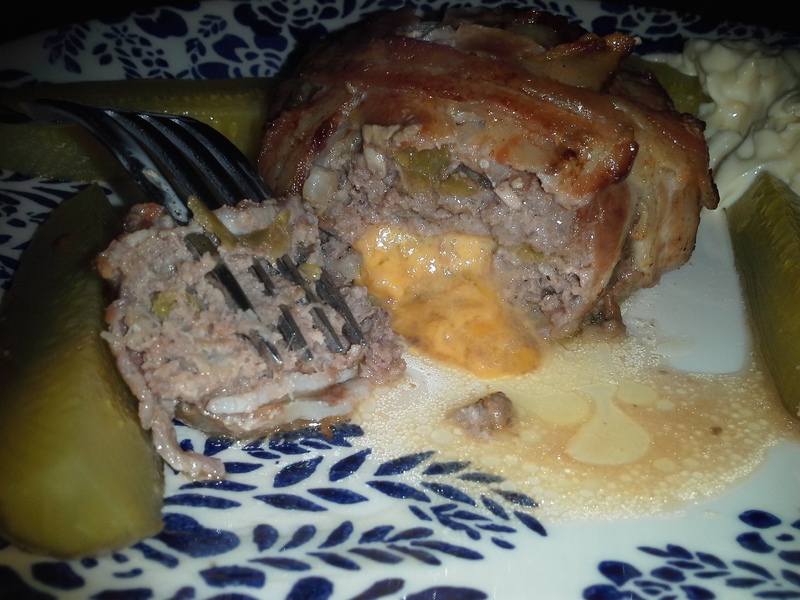 Then, roll the last 1/3 of the meat into a ball before pressing into a patty with even thickness to form the “lid” for the stuffed burger. 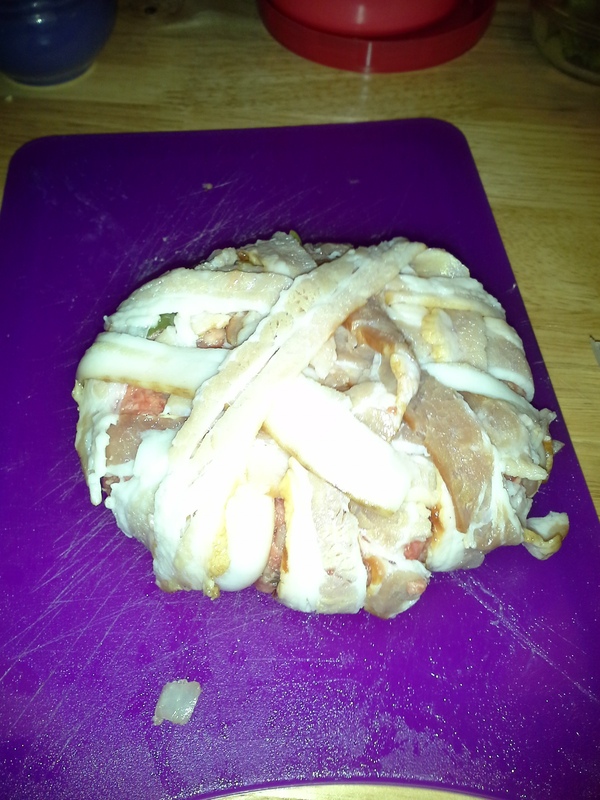 Place the patty on the crossed bacon slices, then alternating sides, wrap the slices around to the top of the burger. 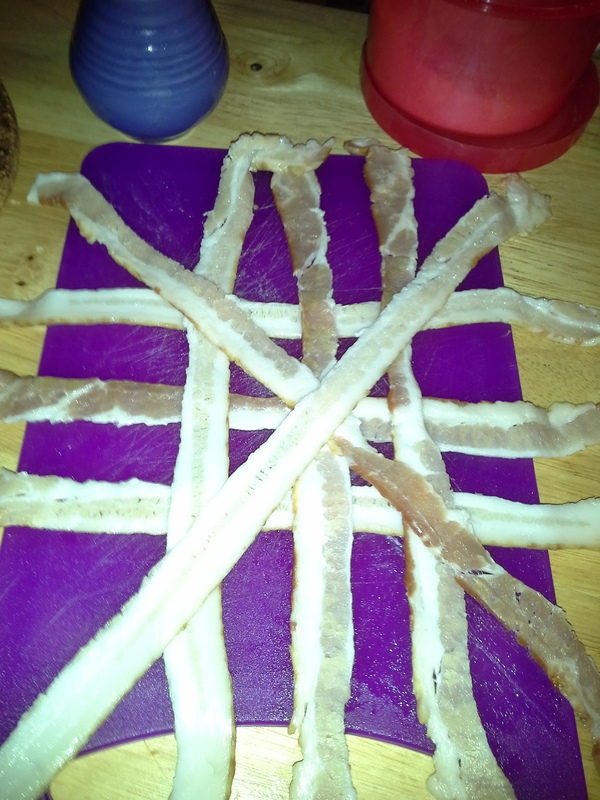 You can try making it prettier than I did, but just make sure that most of the pieces of bacon are tucked under another to make sure they don’t slide off during cooking. Transfer to pan and roast for 25 minutes. Turn oven to broil and let cook until bacon is desired crispness. Let sit for five minutes and then ENJOY! Mmmm – this looks so yummy. I need to make this someday.